Liberia’s Ministry of Health says it has released from a treatment unit seven persons who were previously confirmed positive of the Ebola virus. 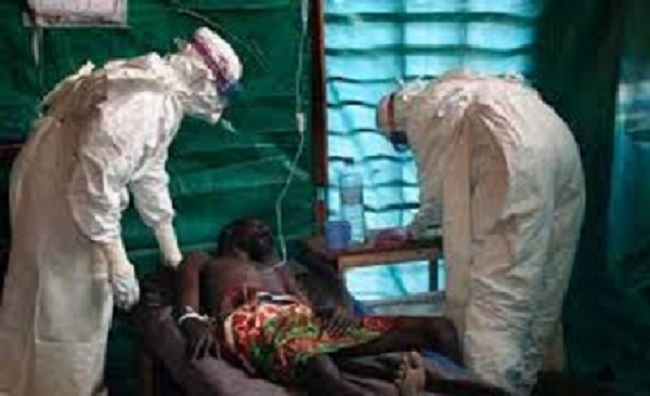 It also said while there is still no known cure for the deadly Ebola disease, three Liberian doctors who were earlier treated with the unapproved drug ZMapp, are showing signs of improvement. Speaking at the Ministry of Information weekly press conference in Monrovia, the Liberian capital Thursday, Assistant Health Minister for Preventive Services, Tolbert Nyenswah, said a total of 12 persons were released from treatment units, seven of whom were earlier tested positive for Ebola while the remaining five were suspected cases. Nyenswah, who attributed the survival of the seven individuals to ‘early treatment,’ said when suspected Ebola cases are brought to the attention of the health team and health workers on time there is a possibility that a survivor will emerge. He has also disclosed that a doctor from the Catholic Hospital in Monrovia was among those who survived from the fatal disease. The minister said in an effort to speed up the fight against the Ebola disease, the health ministry has embarked on an active case finding campaign which, according to him, is necessary in breaking the chain of transmission of the deadly disease. Meanwhile, Assistant Minister Nyenswah has named Bomi, Cape Mount and Rivercess counties as areas that are currently reporting low cases of Ebola, while Montserrado and Lofa counties are still registering increasing numbers of persons infected with the virus. Sinoe has, however, joined the list of newly-infected counties with one confirmed case being reported by the Health Ministry so far. In another bit of good news, two American aid workers who got infected with the deadly Ebola virus in Liberia have been discharged from an Atlanta hospital after three weeks of treatment, officials said Thursday. Dr. Kent Brantly, 33, and Nancy Writebol, 59, show no evidence of Ebola, and generally patients do not relapse and are not contagious once they’ve recovered, the director of the hospital’s infectious disease unit, told AP news agency. At a news conference, Dr. Bruce Ribner of Emory University Hospital said the duo is of no public health risk. At the news conference, Brantly choked up several times while thanking his aid group, North Carolina-based Samaritan’s Purse, and the Emory medical team. Brantly and Nancy Writebol received an experimental treatment called Zmapp, but it’s not known whether the drug helped or whether they improved on their own, as has happened to others who have survived the disease. The treatment is so novel that it hasn’t been tested in people. The limited supply of the treatment also was tried in a Spanish missionary priest, who died, and three Liberian health care workers, who are said to be improving. Ebola is spread only through direct contact with the bodily fluids of sick people experiencing symptoms. The Ebola outbreak has killed more than 1,300 people across West Africa. The death toll is rising most quickly in Liberia, the World Health Organization said. At least 2,473 people have been sickened across West Africa, mainly Guinea, Sierra Leone, Liberia and Nigeria, more than the caseloads of all the previous two-dozen Ebola outbreaks combined. In another development, Liberia’s House of Representatives Committee on Health has recommended the setting-up of Ebola Testing Centers at the regional level across the country. The committee noted that this will go a long way in helping to mitigate the rapid spread of the deadly Ebola virus that is threatening the survival of Liberia. The committee’s recommendation was contained in a report submitted to plenary on Thursday, August 19. The Lower House two weeks ago mandated the Health and Social Welfare Committee to liaise with the National Task Force on Ebola in the fight against the disease and report to it on a weekly basis. The committee, which is chaired by Bong County Representative Corpu Barclay, also recommended that at least one ambulance be provided to each of the 15 counties in the country. It further called for the speedy training of health workers and service providers in Ebola-free counties to effectively deal with any eventuality. The committee has, meanwhile, stressed the need for government to outsource the prevention and treatment of suspected and confirmed Ebola cases to non-governmental organizations, including the Samaritan’s Pulse and Medicin Sans Frontiers. According to the Committee, the government through the National Task Force should provide security and play a monitory and supervisory role when certain functions are outsourced. At the same time, the House’s Committee on Health has recommended that all international funding be categorized in cash and items and a periodic report be submitted to the task force and the National Legislature. The recommendations were endorsed by 28 lawmakers, two against with one abstention.